Sketching contemporary, 20th and 18th century posters that use illustration. 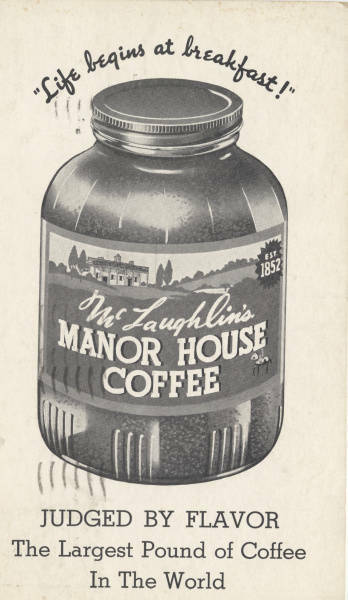 This is an advertisement poster presenting coffee trademark Manor House Coffee. It’s communicating the message to be purchased as ‘best’ / largest pound coffee in the world which to the buyer is suddenly a message that invites to try it. Also, from analysing this image states to be advertising that coffee should be a part of the breakfast which is ‘where the life begins’. The poster states it’s ‘judged by flavour’ which communicates the idea of coffee tasting really good. We can see the fields and beautiful mansion on the packaging which gives it a feel of royalty.